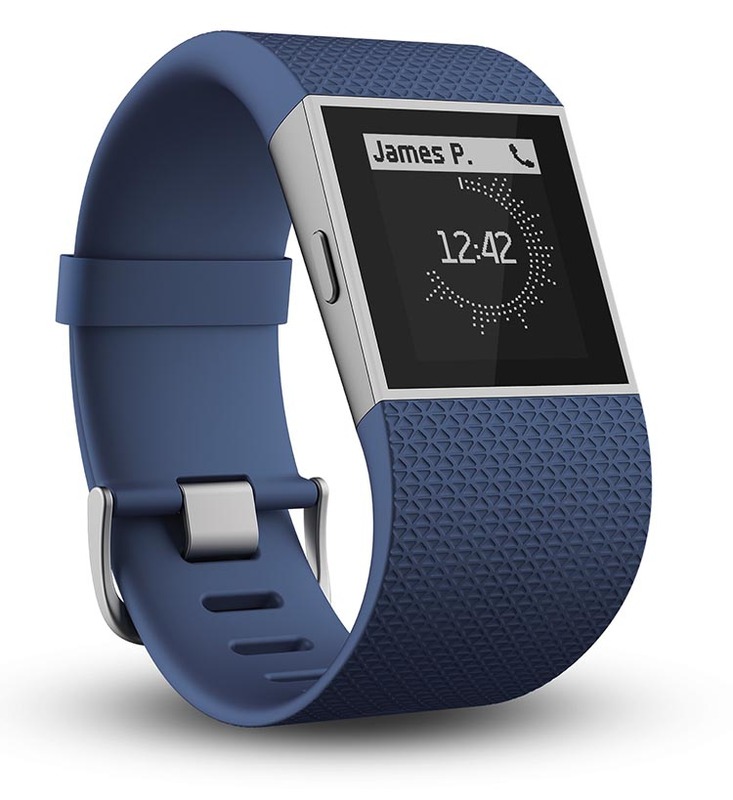 Two of the most popular fitness trackers are the Fitbit Surge and the best-selling Fitbit Blaze. The new Fitbit Blaze is pretty sharp looking, a big step up cosmetically on the Fitbit Surge, and looking a lot more like an Apple watch. 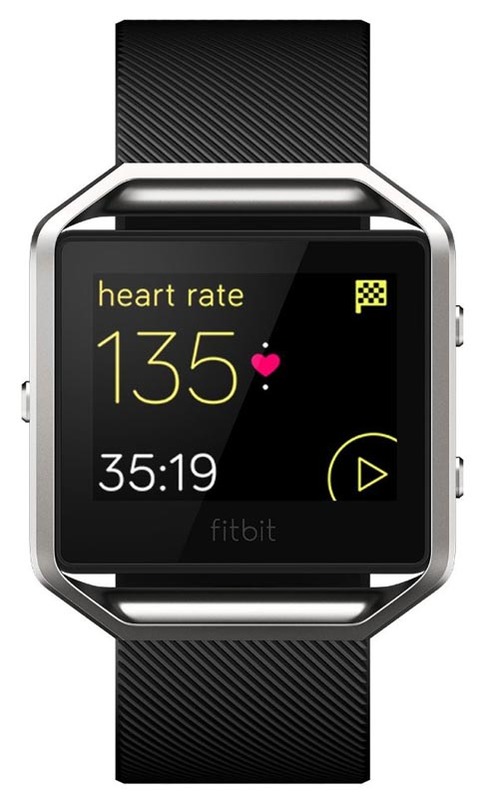 The Fitbit Blaze is also quite a bit cheaper than the Fitbit Surge. 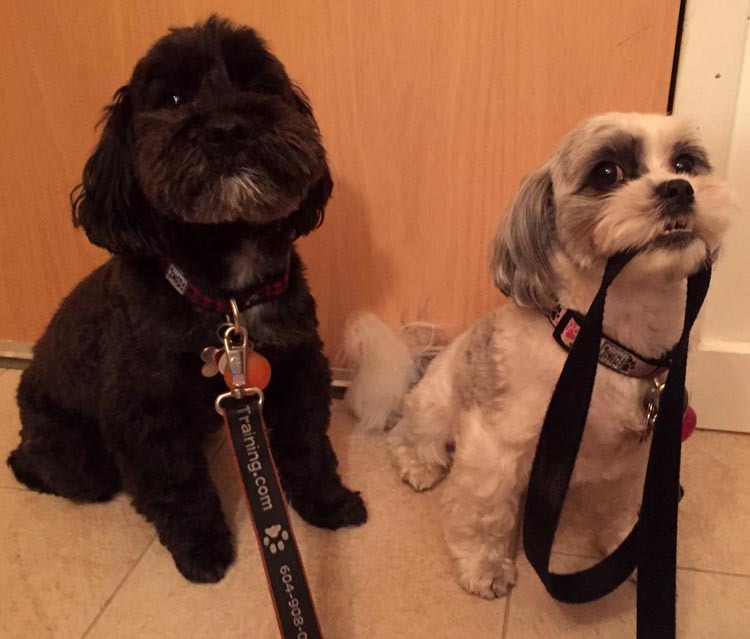 So … is there a catch? Which one is the better deal? 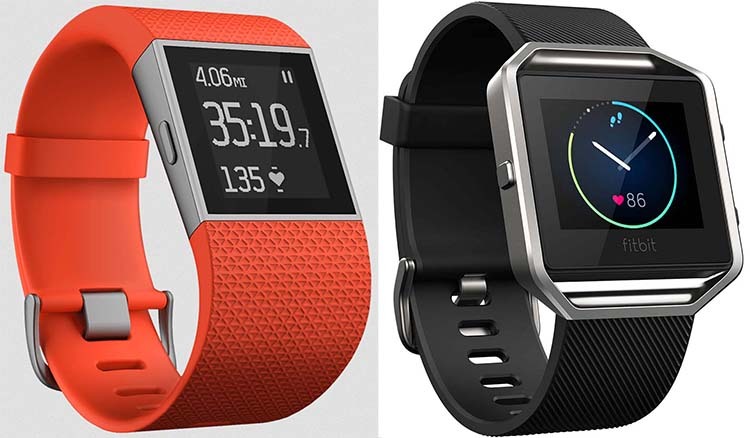 Here’s an indepth post comparing the Fitbit Surge vs the Fitbit Blaze. Can you link it to your Strava account? 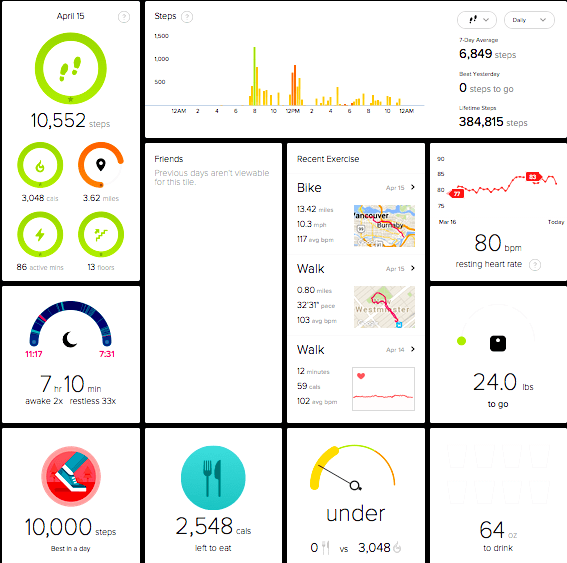 Yes, you can link it up, and then it automatically uploads your runs, hikes, or bike rides to your Strava account. Excellent! 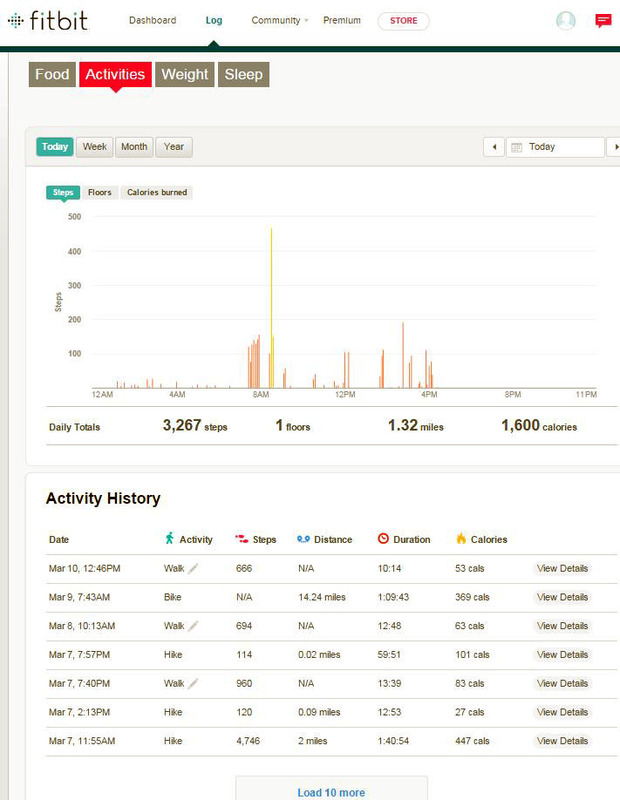 Yes, you can link it up, and then it automatically uploads your runs, hikes, or bike rides to your Strava account. Excellent! 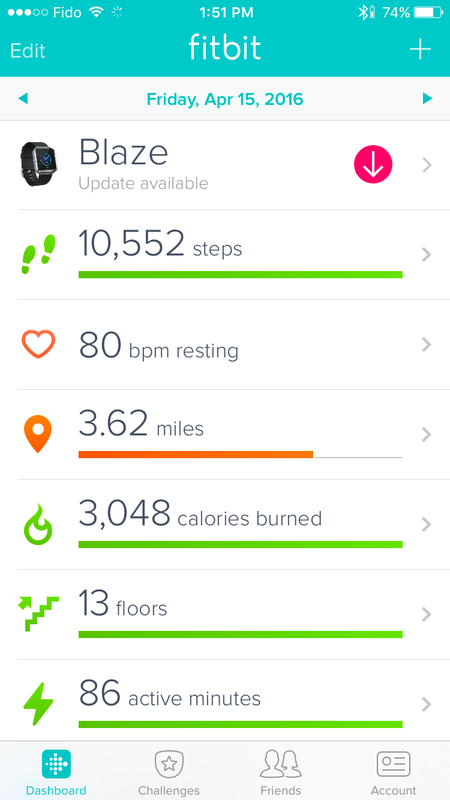 You can also get this overview on your cell phone, on the Fitbit app, as shown below. I cannot get the whole overview into one screen shot – on your cell phone, you have to scroll down to see it all. Your cell phone app will also alert you when you need to update the software on your tracker, as you can see in the screen shot (the little red upside down arrow near the top right indicates an update is available). As you can see, you can also check the battery level (top right). And note that your Fitbit will text you when it is low on battery! Plus when it is fully charged, you will get an alert on your phone to tell you your Fitbit is now fully charged. With the Fitbit Blaze you can change the strap, so there are a lot more options of how your watch looks. 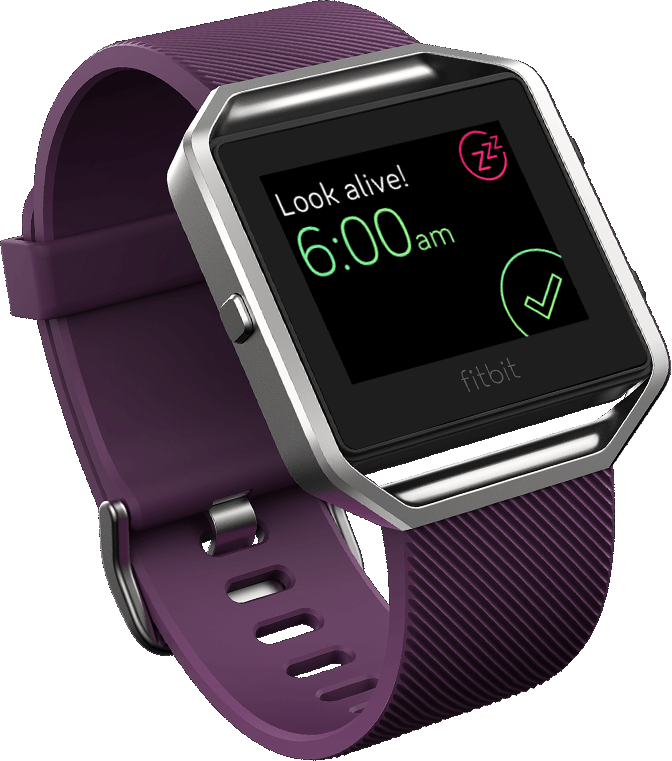 Here is the Fitbit Blaze telling you it’s time to get up! For me as a cyclist, tracking rides with GPS is essential. 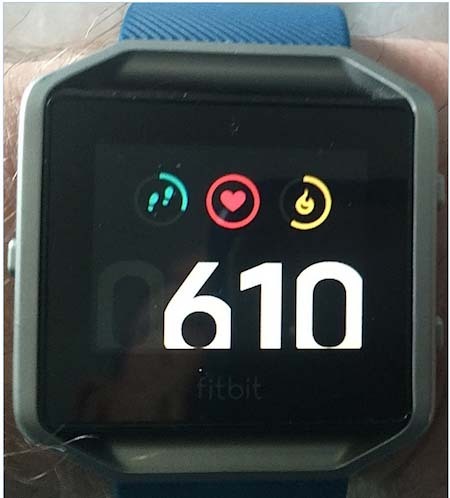 For that reason, I was sure I would prefer the Fitbit Surge over the Blaze, because the Surge has a built-in GPS chip, and the Blaze does not. 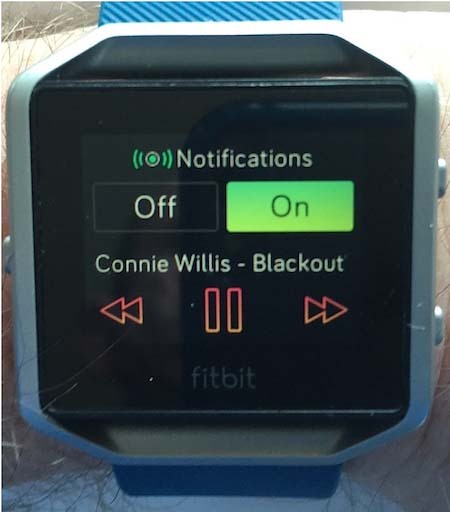 So yes, I was ready to give the Fitbit Blaze a big fail in that department. The way it works with both the Fitbit Blaze and the Surge is that you swipe to exercise, tap on the exercise icon, and then scroll and tap to select one of the sports that you have set up as exercise shortcuts (see Multi Sport Feature above). If the exercise is compatible with GPS, it will have a little gear symbol on the bottom right. This is just common sense, really. Your Fitbit can only record a route with its GPS if you are actually going somewhere, which happens if you are walking, running or cycling. It does not do GPS recordings for the “Workout” choice because walking from the stationary bike to the bench press machine is really not an event worth recording! And here’s the biggest upside – because with the Fitbit Blaze you are not paying for an extra GPS chip that you don’t actually need, the Fitbit Blaze is a lot cheaper than the Fitbit Surge! After your GPS-recorded activity, your Fitbit will quietly and automatically upload your ride to Strava – providing you have a Strava account and have linked it to your Fitbit (read all about Strava here). This is very easy to do. I love this feature. Sometimes I will get a text notification on my Fitbit, and it is a buddy giving me kudos on a ride I have completed just a few minutes ago. I didn’t even know it was uploaded yet, and I am already getting kudos! The Fitbit Blaze well deserves all the hype around its release. It’s great value for money, and looks great too. I get a lot of compliments on it. 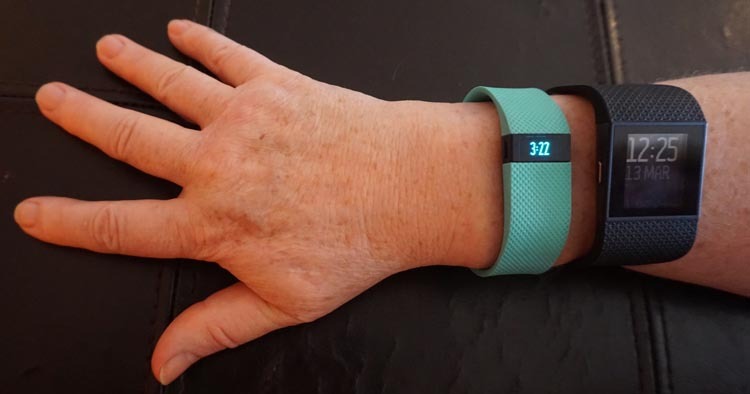 (Whereas no one ever seemed to notice my Fitbit Surge.) 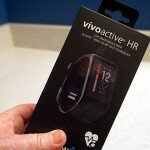 Out of all the fitness trackers I have tried, the Fitbit Blaze is definitely my top pick – and it most certainly is my choice over the monochrome Fitbit Surge. The Fitbit Blaze is a great choice for anyone who wants a really good looking, multi-sports activity tracker. I looked around a bit, and ordering on Amazon.com seemed to work the best for now. 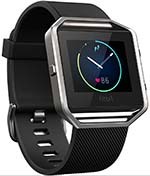 Fitbit blaze brands has more new features which are really amazing & wonderful. 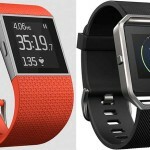 Fitbit Blaze vs Surge is good comparison but my favorite will be fitbit braze band because of it’s plenty things..Thanks! The face of the watch is bigger than I imagined. It also doesn’t count all the steps you do, so watch that. Like the Bluetooth to your phone so you can see who is calling, text messages, and controlling your music.